Graham Wallas (May 31, 1858 - August 9, 1932) was an English social psychologist, educator, and one of the leaders of the Fabian Society. He is remembered for his contribution to the development of political science, the psychology of politics, and his pioneering work on human creativity. He argued that people do not always behave in a rational, calculated way, and that politicians should, in order to handle people properly, study psychology. Wallas served as a professor of political science at the London School of Economics, in addition to holding several political positions. Wallas' ideas for using psychology in political science counterbalanced strong currents of thought favoring rationalistic, utilitarian views in the field. His priority on studying the psychology of human beings provided support toward the then-emerging empirical approach to the study of human behavior. Although Wallas noted that human beings behave irrationally, he thought that the sciences could uncover a true nature and this could be applied to make a better society. Graham Wallas was born on May 31, 1858, in Monkwearmouth, Sunderland, England, the son of Gilbert Innes Wallas, a local minister, and his wife, Frances Talbot Peacock. 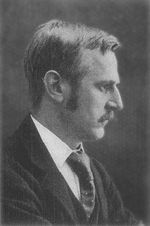 He received a strict religious upbringing, studying later at Shrewsbury School and Corpus Christi College, Oxford (1877–1881). He obtained a second class degree in 1881. It was at Oxford that Wallas abandoned his religious beliefs. Following his studies, Wallas pursued a career in teaching. He held a post at Highgate School until 1890, when he resigned in protest at the requirement of the school to receive communion. Wallas joined the Fabian Society in April 1886, following his acquaintances with Sidney Webb and George Bernard Shaw. He contributed to the Fabian Essays on Socialism. He also started to teach at the newly founded London School of Economics (LSE) in 1895. He married Ada (also known as Audrey) Radford in 1897. Their daughter, May, was born in 1898. In 1894, he became a Progressive Party member, serving on the London School Board until 1904. He was chairman of its School Management Committee from 1897-1904. Wallas left the Fabians in 1904, in protest of their support for Joseph Chamberlain's tariff policy. He became a member of the London County Council, where he served a three-year term. He was also a non-elected member of London County Council's Education Committee from 1908-1910. In 1914, Wallas became professor of Political Science at LSE, the first such post at the school. He remained in that position until his retirement in 1923. Wallas made several trips to the United States, where he lectured at Harvard University. Wallas also served as president of the Rationalist Press Association. From 1908-1928, he was a member of the senate of the University of London, and served as a member of the Royal Commission on Civil Service, from 1912 to 1915. He died in Portloe, Cornwall, England, on August 9, 1932. Wallas remains famous for his work on the psychology of politics. He was a famous anti-rationalist, rejecting Jeremy Bentham's view of human nature as one of rational self-interest. He believed that people do not always behave in a rational way. He held that it was even dangerous for politicians to assume that people behave intelligently and always calculate what to do. In his Human Nature in Politics (1908), he argued that irrational forces, such as prejudice, custom, and accident, inevitably affect political decisions, often much more than rational calculations. He thus warned politicians of the need to study psychology as the means to understand and predict people’s political behavior. He rejected the popular application of Darwinism to social sciences. Wallas believed that by introducing psychology into political sciences, the way would also open for the study of government itself. Since politics is based on an assumption that people behave rationally, and Wallas suggested that people in reality are not rational, he questioned whether representative government was indeed democratic. He claimed that the problem could be solved if people were better educated, thus casting more informed votes. Wallas also believed that government should comprise specially trained persons who would make their choices based on the latest scientific discoveries in the fields of both the natural and social sciences. Wallas suggested that because modern societies were becoming increasingly complex, a shift in thinking was needed from individualism to collectivism. Collectivism needed to become a principle of every organization. Collectivism, together with education of the individual mind, according to Wallas, would inevitably lead to a "good" society. Verification (the successful application of the idea). Wallas' work provided a useful counterbalance to rationalist utilitarianism. His advocacy of the use of psychology in political science, as well as the need for the study of human beings, contributed toward the development of an empirical approach to the study of human behavior. As a member of the inner circle of the Fabian Society, he molded not only Fabian socialist thought, but also influenced the general British world view of the early twentieth century. Wallas’s pioneering work on creative thinking paved the way for further research on human creativity. 1889. Wallas, Graham. "Property Under Socialism." In Shaw, Bernard, Sidney Webb, et al. Socialism: The Fabian Essays. Boston: C.E. Brown. 1893. Wallas, Graham, G. von Schulze-Gaevernitz, and C. M. Wicksteed. Social Peace: A Study of the Trade Union Movement in England. London: S. Sonnenschein & Co.
1896. Wallas, Graham. What to Read: A List of Books for Social Reformers. Fabian tract. no. 29. London: Fabian Society. 1926. Wallas, Graham. The Art of Thought. New York: Harcourt, Brace and Company. 1930. Wallas, Graham. Physical and Social Science. London: Macmillan and Co., Ltd.
1940. Wallas, Graham and May Wallas. Men and Ideas: Essays by Graham Wallas. London: G. Allen & Unwin, ltd.
Bevir, Mark. 1997. Graham Wallas Today. The Political Quarterly. 68(3), 284. Schweitzer, Frederick M. 1972. Two Fabians in Action: The Contributions of Graham Wallas and Sidney Webb to English Public Education, 1885-1910. Thesis. Columbia University. Wallas Family Papers. Janus Library Collection. Retrieved September 28, 2007. Graham Wallas' model in “The Art of Thought”—Notes from "Unleashing the Right Side of the Brain" by Robert Williams and John Stockmyer. Human Nature in Politics— at Project Gutenberg. This page was last modified on 8 July 2017, at 20:07.